I chose this field because it is my goal to partner with my patients to help them return to wellness. Treating patients who have a surgically approachable disease requires a holistic approach – and I am always mindful of their physiologic, psychological and environmental challenges. Surgery is only one component of the complete care of the patient. My areas of expertise are minimally invasive gastrointestinal surgery, complex abdominal wall reconstruction, treatment of splenic disorders and oncologic vascular access. 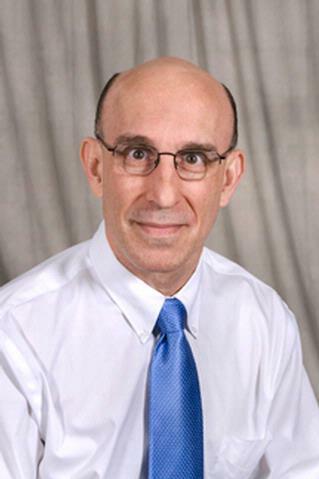 Dr. Krusch is Professor of Surgery at the University of Rochester Medical Center. He received his M.D. from the Johns Hopkins School of Medicine and then completed his residency and fellowship in surgery at the University of Virginia. His areas of specialty interest include gastrointestinal surgery, minimally invasive upper abdominal surgery, vascular access and surgical treatment of hematological diseases. Dr. Krusch is also the Director of the Department of Medical Informatics and the Chief Medical Information Officer for URMC. Krusch, D; Grieger, D. "A pilot study to document the return on investment for implementing an ambulatory electronic health record at an academic medical center, JACS." JACS. 2007; . Kogut KA, Nifong LW, Witt MJ, Krusch DA. "Hepatic insulin extraction after major hepatectomy." Surgery.. 1998 Apr 0; 123(4):415-20. Illig KA, Schmidt E, Cavanaugh J, Krusch D, Sax HC. "Are prophylactic antibiotics required for elective laparoscopic cholecystectomy?" Journal of the American College of Surgeons.. 1997 Apr 0; 184(4):353-6.